Copyright (c) 2011-2015, Omnibus-Type (www.omnibus-type.com|omnibus.type@gmail.com). 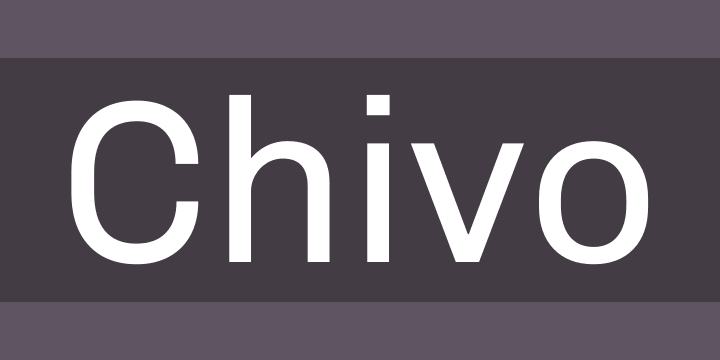 Chivo is a grotesque typeface. The strength of Chivo makes it ideal for highlights and headlines. Chivo Regular’s elegance is ideal for combining with Chivo Black’s strength and for continuous reading settings.